Bye Bye Flappy Bird - No More Play Time! 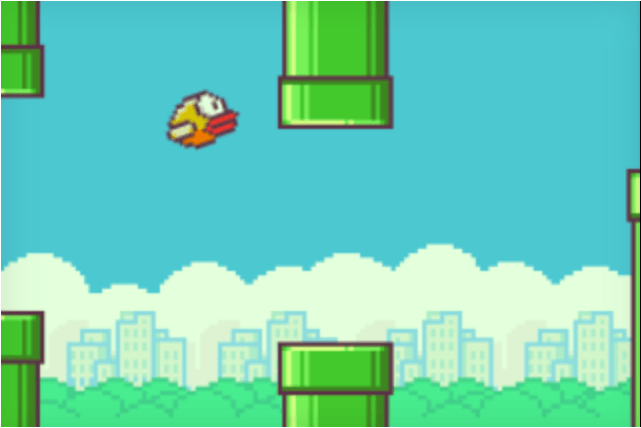 You are here: GeekSays Technology News » General » Bye Bye Flappy Bird – No More Play Time! Bye Bye Flappy Bird – No More Play Time! Flappy Bird is just everywhere on the Internet world. You might have already heard about its success on social network, or among your social network friends. Flappy Bird has made its way to the top charts of App Store and Google Play Store earlier this week, and suddenly everyone started talking about it. Flappy Bird is now said to be going offline in the next 22 hours, as the creator of the game is hurt from the response of gamer’s community. The game is simply a collection of notorious pixels on your smartphone that can’t let you win the game or score higher. The simplicity of game design is clearly shown, and there is no theory behind developing this game with such low-resolution graphics. Dong Nguyen – the man behind Flappy Bird has announced over Twitter that he is taking down the game offline from both Google Play Store and App Store for unknown reasons, but he explained that the game is not acquired or nor he is facing any legal issues with Flappy Bird. The unusual announcement from developer has already raised several questions in the community, as Flappy Bird was already earning $50,000 a day from its advertisements across the platforms. People were expecting the developer to port this game into a web or some sort of computer application.